we are glad to say that we are doing partnership with fxunited and we are providing good forex investment for investor and you can withdraw your money consistently. The operation of forex investment are through the Expert Advisor(EA).The CGAT-Capital Gain Auto Trade(EA) allows you to earn a percentage of the Company’s Profit from the brokerage earning(spread) whenever there is any trading position closed by the Expert Adviser (EA) automatically. The investor will have to open a winst account and will be given the investor password where the investor can monitor the trading position made by EA via Fxunited Trading Platform. All CGAT accounts will be traded absolutely by an Expert Advisor (EA) and all traders are not allowed to open/close any position in their trading account. The capital + profits can withdraw at anytime they desire but a 3% withdrawal fee will be charged if you opt to request for the capital withdrawal before the end of the 12 month contract. 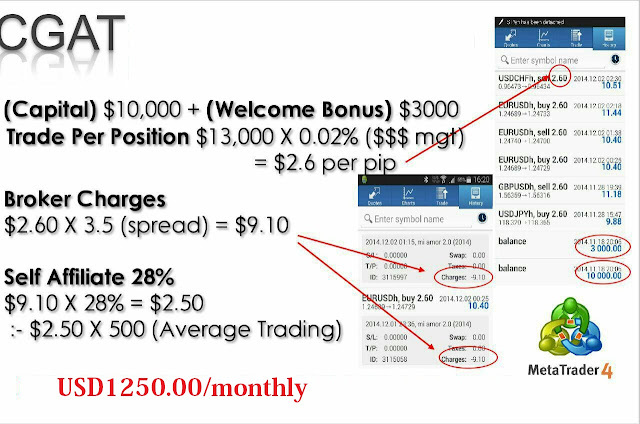 Each position entry made by the EA is subject to a 3.5 pips brokerage commission. Let say the EA enters a buying position with USD1.00 of GBP/USD, then the commission is going to be USD1.00 x 3.5 pips =USD3.50 (Company total gross commission for this particular position). The account owner is paid USD3.50 x 28% =USD0.98 as the “Self Affiliate Bonus” for that particular closed position regardless of whether the trade is making a profit or losing. Means you are given a profit sharing (28%) of the commission earned by the broker. Your total earnings during a month is subject to how many entries are being made by the EA during a “one month trading period”. Let see the example of the calculation on how the profit sharing commission shared then be given to the traders consistently. The system will also charge a monthly maintenance fee of 1% of the CGAT Deposit Amount. 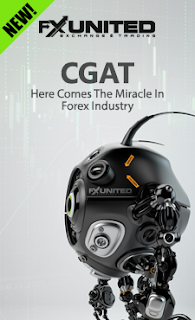 Feels free to drop pipsumo an email regarding the Expert Advisor(CGAT) on how to join and open the winst trading account.